I want one, but I'm still paying for the R9 I bought in the great frenzy. I'd possibly rather have that than my Gretsch Falcon, but my wife loves the Falcon and I don't think she would be over happy if I sold it. I want one too but I know I'll not bond with a skinny neck! The pricing must be down to their margins on particular models. They seem to have loads of 61s so they are probably owed less per guitar. I suspect they got a job lot that Gibson made in the run up to chapter 11, that they are selling to the dealers cheaply. Wonder if any will turn up at Andertons or Peach? One day we’ll be able to mention Tyler’s without the Pavlovian “headstock” response. I played a Tyler Burning Water in GG last year. Wish i hadnt. I desire one even more now! I think those responses are as ingrained as the reactions to PRS, relics, Gibson quality control and (coming up on the rails) tonewoods. Personally I like the Tyler headstock. Leave it Phil, just let it go. 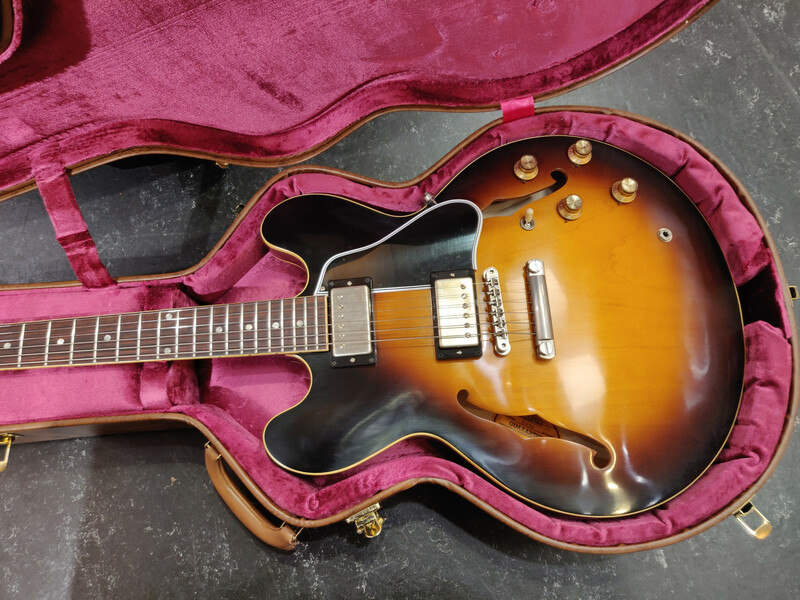 '61 Historic 335 from £4.7k down to £2.5k??? I've played a '61 335 (not at guitar guitar) and I thought it was actually pretty awful. The finish just looked it had been rubbed over with wire wool and it just felt really cheap. I only played it acoustically, but just seemed like a bit of a joke guitar. The neck was pretty thin at the nut end (I guess most people like that but to me, it felt really unsubstantial). I'd seen it reduced to 3K and was ready to get it, but as soon as I picked it up it was like..'I can see why these are reduced'. Thanks, good to know. To be fair I think the dull finish that looks like micro scratches all over is part of the VOS finish. Also note that semis can feel a little plinky plonky unplugged, not sure why but I always assumed it was to do with the laminate tops and bottoms and rigid construction. A bit like an acoustic that is far too overbuilt to properly resonate acoustically. Through an amp though they can be glorious. This isn’t always true. 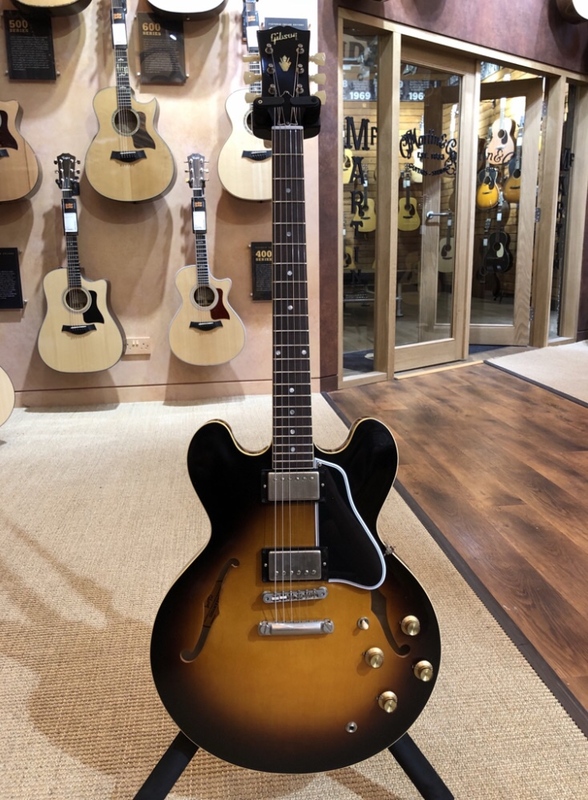 I have a heavy one at 8.7lbs and it is the best sounding ES-335 I’ve played. Resonates loudly unplugged like an acoustic guitar. Loads of bottom end and sustain plugged in too. It’s actual a little Les Paul like in tone. There can't be much variation in weight between 335s can there? The ply must be pretty consistent. I've never owned a 335, but I've had a 339 and a couple of 336s (different construction of course). The acoustic tone is odd, they are quite loud but the wound strings, especially the low E, sound a bit dull and rubber-bandy (or plinky plonky like @terada said). I always thought they would ring and resonate more like an acoustic guitar. Cool stuff. I think the one GG had is already gone, but I might keep my out for a secondhand one... didn’t have the spare cash anyway! £999 for that lovely Pelham Blue Les Paul Classic with P90's, such a lovely looking Guitar is that! Here’s the one on it’s way to me arriving tomorrow!